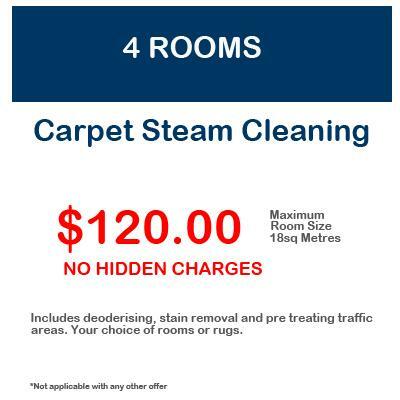 Book 4 rooms of carpet steam cleaning for only $120.00 saving your $34.00, this offer is for ground level free standing dwellings only. You can book for weekdays between 8am and 3pm & Saturdays 8am till 2pm, We will take booking outside these time by appointment. This offer is not applicable with any other offer, and is for ONLINE bookings only.